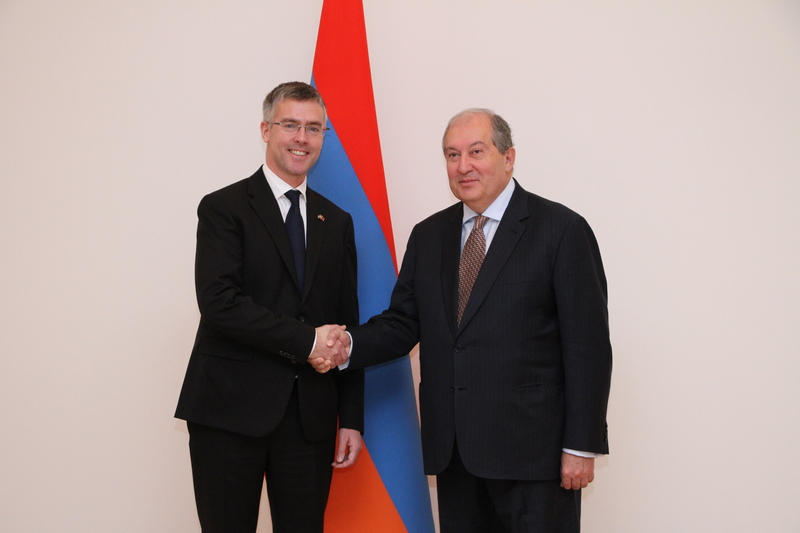 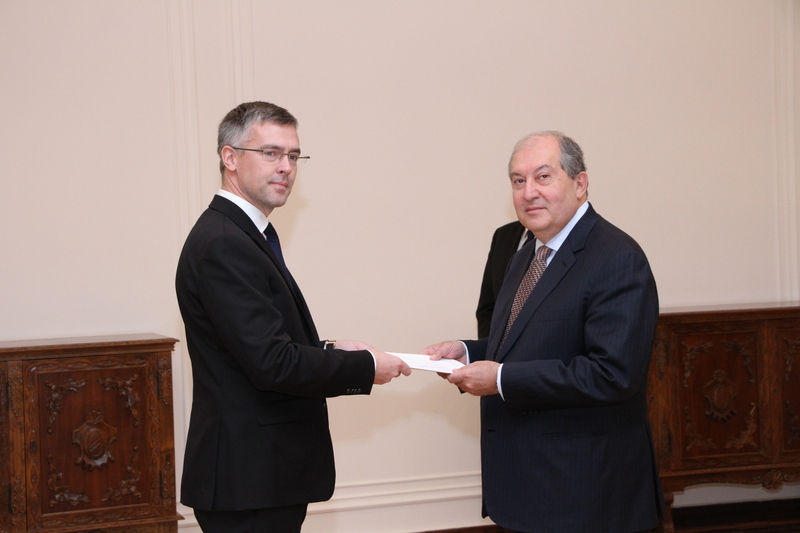 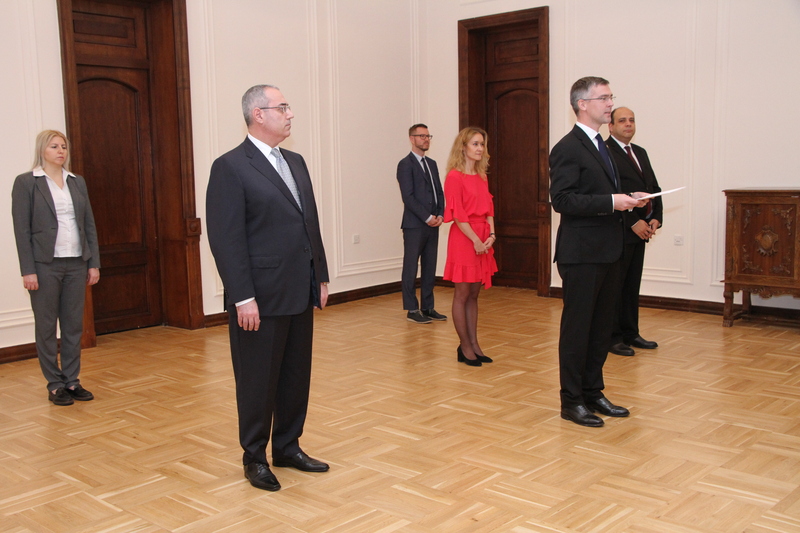 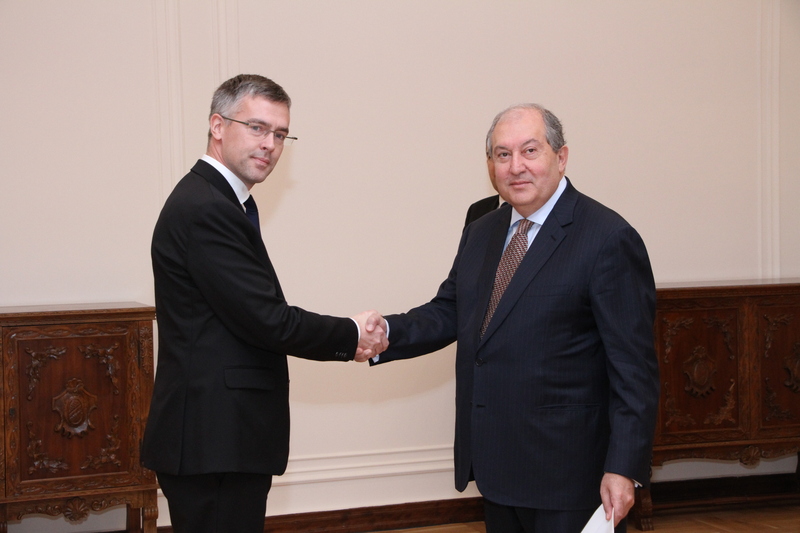 Today, the newly appointed Ambassador of the Kingdom of Sweden Ulrik Tideström (residence in Tbilisi) presented his credentials to President Armen Sarkissian. 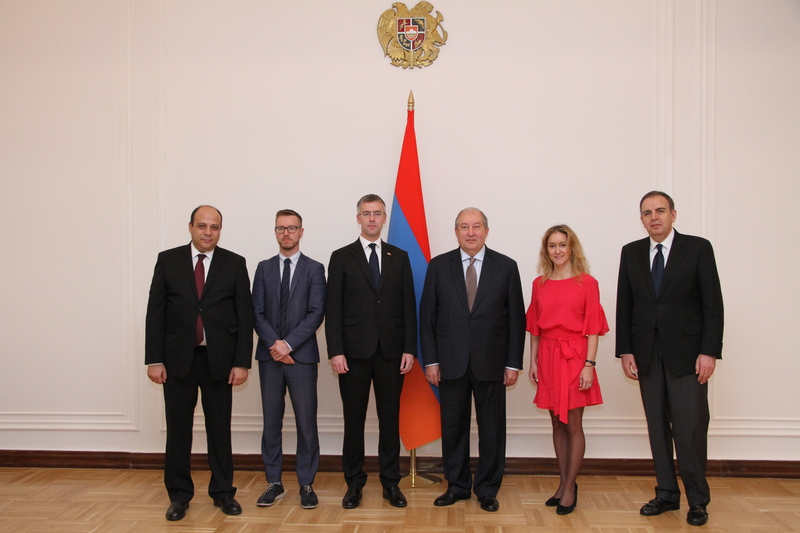 Ambassador Tideström stressed the existence of close friendship between the two countries and peoples and underscored the role of the Armenian community in Sweden. 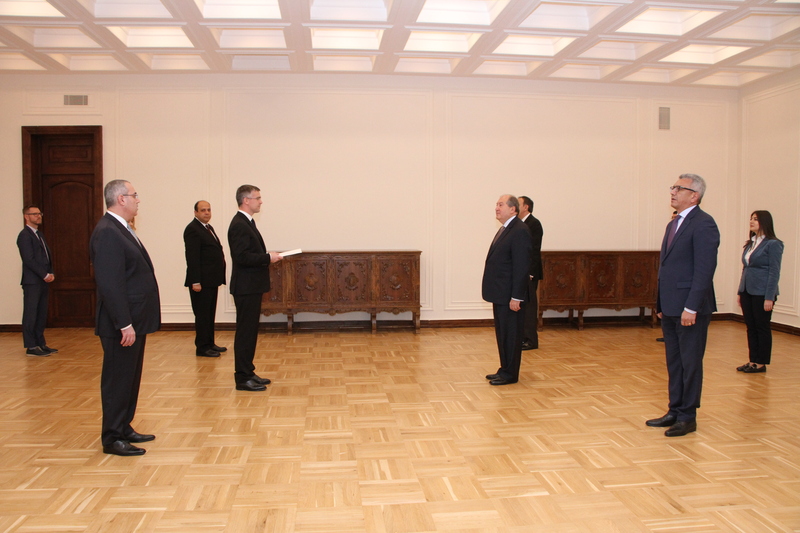 The newly appointed Ambassador conveyed to the President of Armenia greetings from the King of Sweden Carl XVI Gustav. 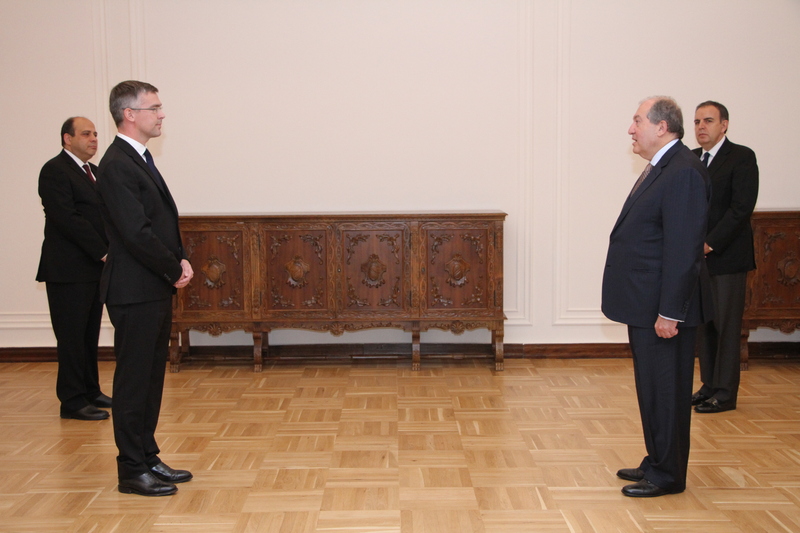 President Sarkissian wished Ambassador Tideström efficient work and expressed confidence that he will put his experience and professional skills into the strengthening of the bilateral relations. 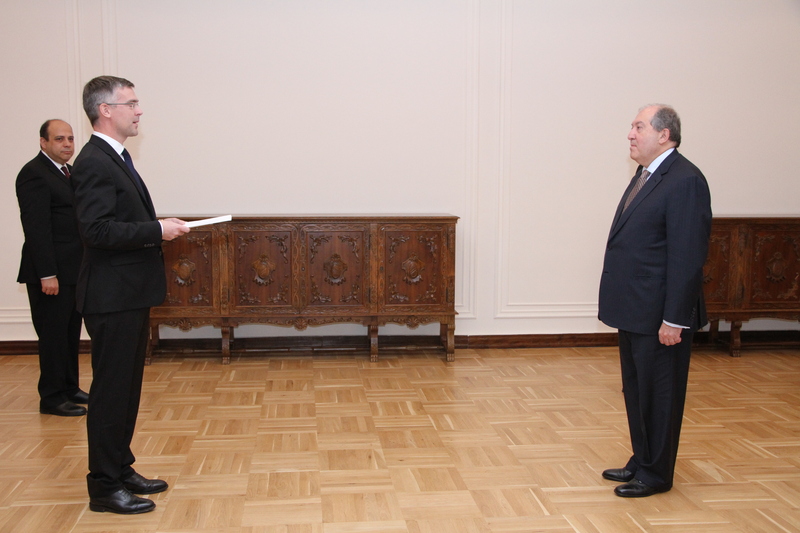 According to the President, even though diplomatic relations between Armenia and Sweden were established 26 years ago, historical and cultural relations between Sweden and Armenians date back centuries. 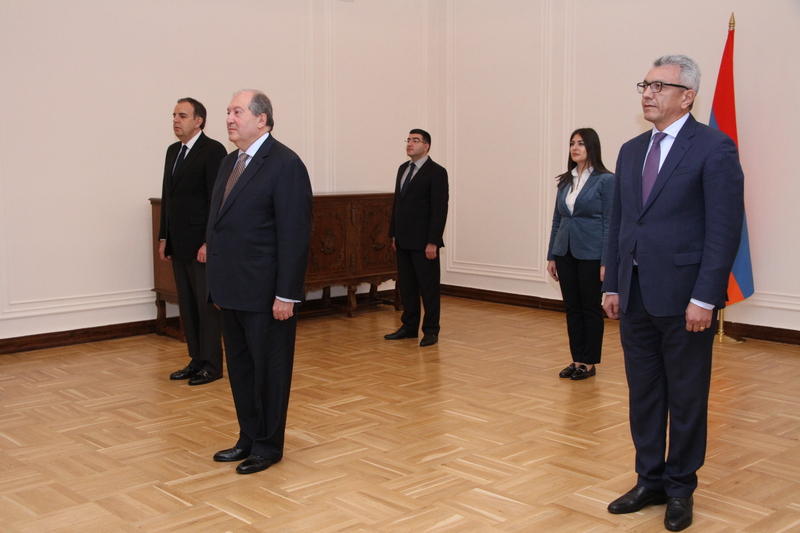 President Sarkissian underscored that Sweden is an important and trusted partner of Armenia in Scandinavia and there are solid prerequisites to expand cooperation in different areas.